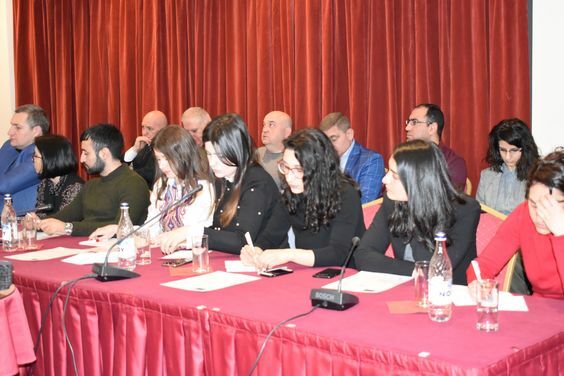 On February 28, 2019, a working discussion on “State policy aimed at the implementation of Istanbul Protocol in Armenia” subject took place in Ani Plaza hotel. 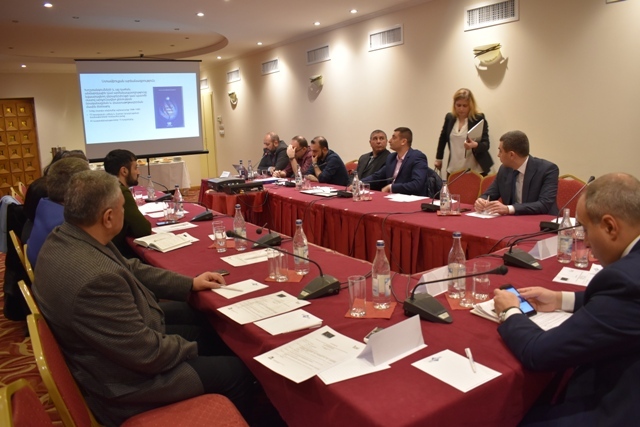 The working discussion was organized within the framework of “Combating Torture and Ill-treatment in Georgia, Armenia and Ukraine” project, which is funded by the European Union and implemented jointly by Helsinki Citizens’ Assembly Vanadzor and Georgian Centre for Psychosocial and Medical Rehabilitation of Torture Victims (GCRT). 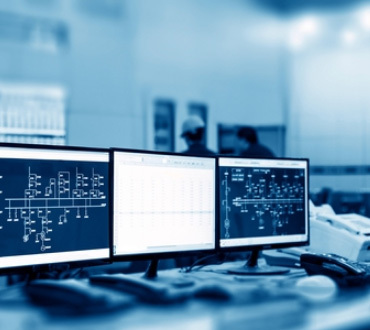 The project was launched in February, 2018. 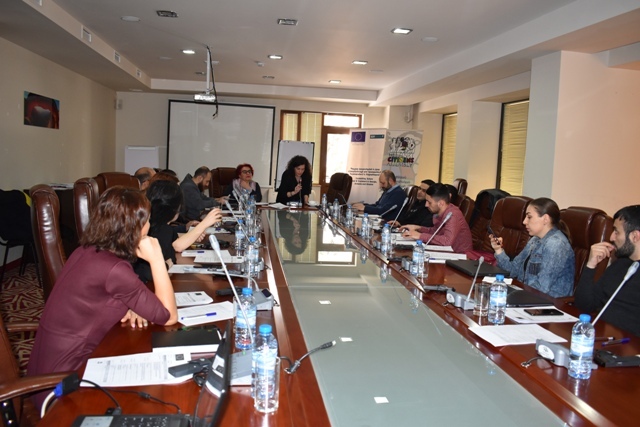 The project is aimed at preventing torture in closed and semi-closed institutions, supporting the rehabilitation of torture survivors and raising awareness and advocacy of the issue. 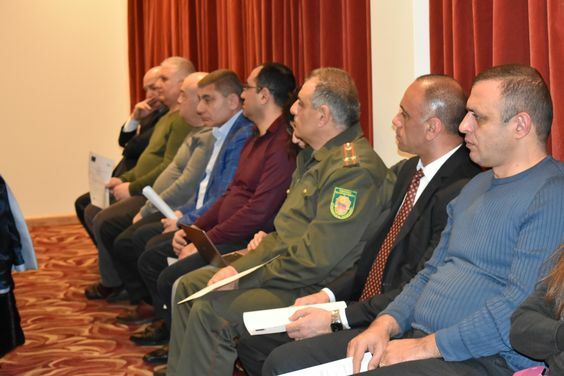 Human Rights Defender of the Republic of Armenia, representatives of the RA Ministry of Justice, Penitentiary Service, heads of penitentiary institutions and other representatives, as well as representatives of the RA Police, Special Investigation Service, Investigative Committee, National Bureau of Expertises and NGO representatives were present during the working discussion. 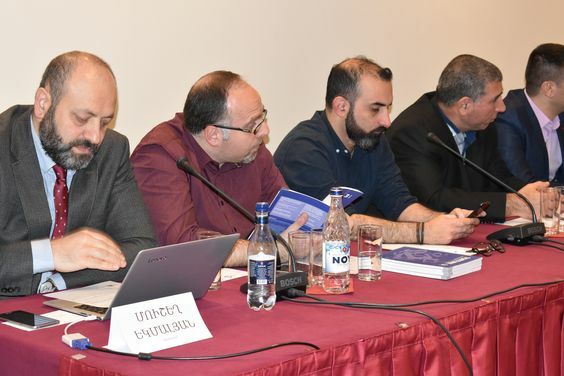 HCA Vanadzor chairman Artur Sakunts delivered an opening speech, Suren Krmoyan, Deputy Minister of Justice; Arman Tatoyan, Human Rights Defender of the Republic of Armenia; Davit Amiryan, executive director of Open Society Foundations – Armenia; and expert Mushegh Yekmalyan presented separate subjects. They touched upon the role of Istanbul Protocol, adoption of its standards in state policy, as well as implementation possibilities and challenges. 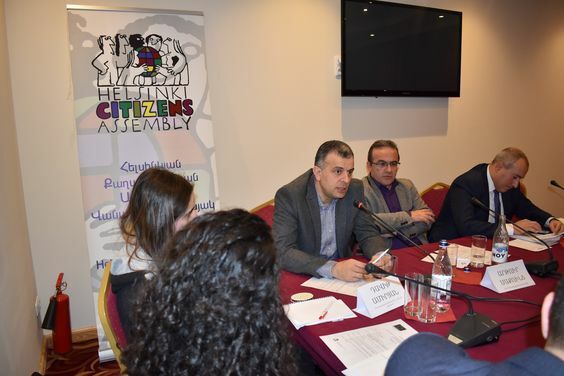 “The introduction of Istanbul Protocol in the struggle against torture should not be considered separate from penitentiary general reforms”, Suren Krmoyan. 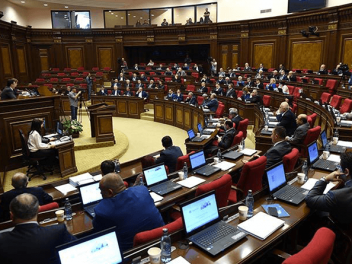 Suren Krmoyan - Deputy Minister of Justice of the Republic of Armenia – expressed the opinion that the introduction of separate components would not entail any solution and it should therefore be viewed in the context of general reforms. He also touched upon the importance of updating the system of medical aid and medical service provided in penitentiary institutions in the matter of preventing ill-treatment. 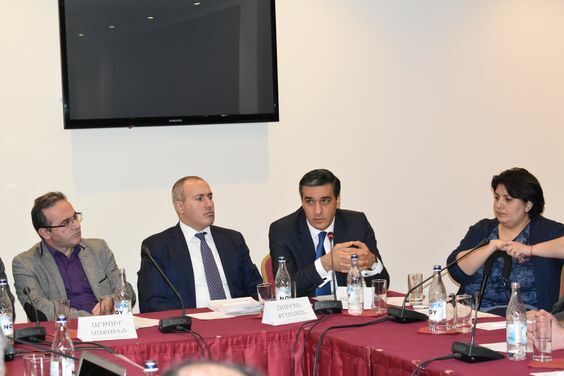 “We underscore the medical reform, since most of the problems recorded in this sphere pertain to medical services”, said S. Krmoyan and assured that the Ministry is ready to introduce mechanisms stemming from Istanbul Protocol. 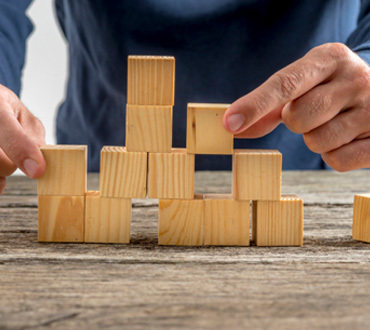 “In many countries, there are certain problems regarding the work of a psychologist, since, besides the lack of prepared psychologists, doctors and lawyers have a skeptical attitude towards psychologist’s work”, Mushegh Yekmalyan. Expert Mushegh Yekmalyan talked about the prehistory of Istanbul Protocol adoption and international practice of its implementation. He also highlighted the importance of a psychologist’s work in recording torture. 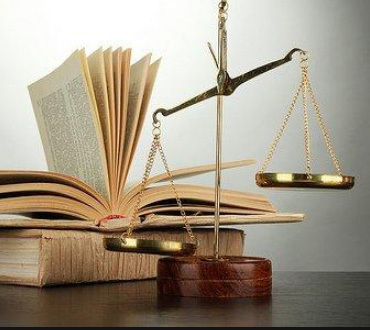 “Istanbul Protocol differs from forensic medical records or documentation manuals applied before or parallel to it, since it includes the whole story starting with the story told by the victim and everything discovered during the investigation, and all this is presented as one story using a scientific approach developed by the joint work with the lawyer, psychologist and doctor”, he mentioned. M. Yekmalyan also presented the instruments for documenting tortures. “ This crime should not have a statute of limitations. When we talk about torture, ill-treatment or inhumane treatment, we step outside the framework of one person’s problem”, Davit Amiryan. “Istanbul Protocol envisages a multidisciplinary approach and this conclusion is exclusively scientific”, mentioned Davit Amiryan. He also underscored the importance of Istanbul Protocol psychological component and then substantiated his opinion by examples. “The most important task to be solved today is the absolute legislative and practical independence necessary to be given to doctors, including those working in the penitentiary system, so that they can make conclusions and not be constrained in any way, as well as contribute to the protection of rights such as the absolute right to be free from torture or cruel inhuman treatment”, concluded Davit Amiryan. “There is an impression that Istanbul Protocol is developed only for penitentiary institutions. 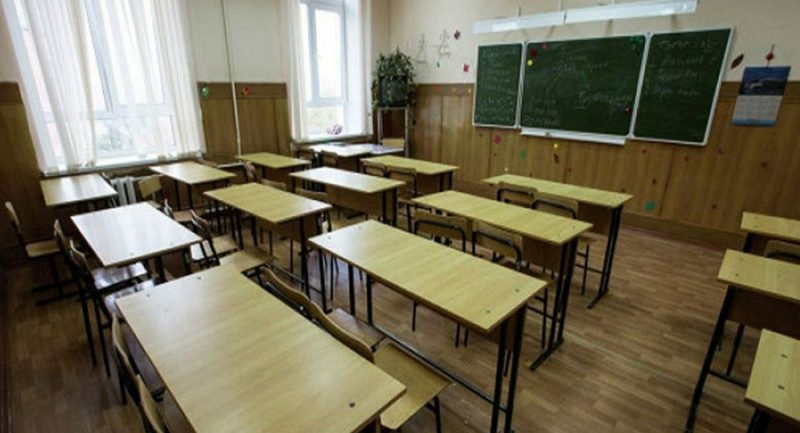 In reality, however, it deals with all types of closed institutions such as psychiatric hospitals, police divisions and so on”, said Human Rights Defender Arman Tatoyan. There is a lack of a clear understanding of Istanbul Protocol and the perception is not precise and holistic. According to the Human Rights Defender, one of the reasons for this is not conducting enough awareness activities. 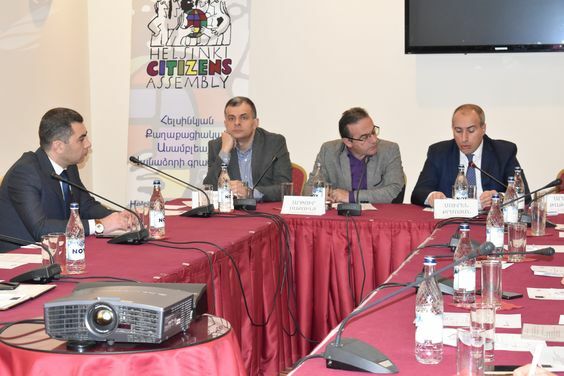 The Defender highlighted the importance of the activity of Helsinki Citizens’ Assembly Vanadzor regarding the implementation of Istanbul Protocol. A. Tatoyan mentioned that they have problems in terms of perceptions of their work, he presented various situations recorded during the work of the Defender’s staff and the problems of practice. 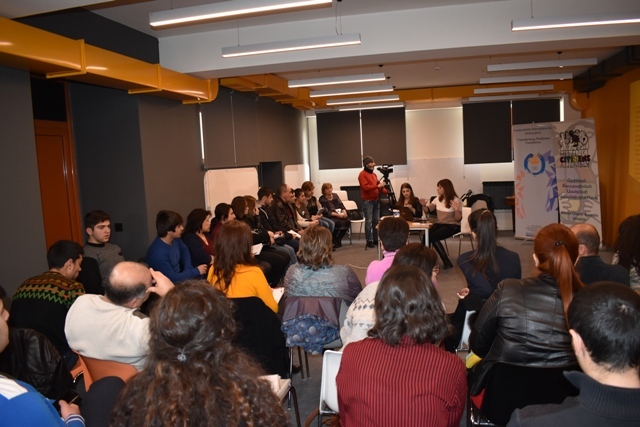 Representatives of NGOs and state structures participating in the working discussion shared their experience and talked about separate cases. 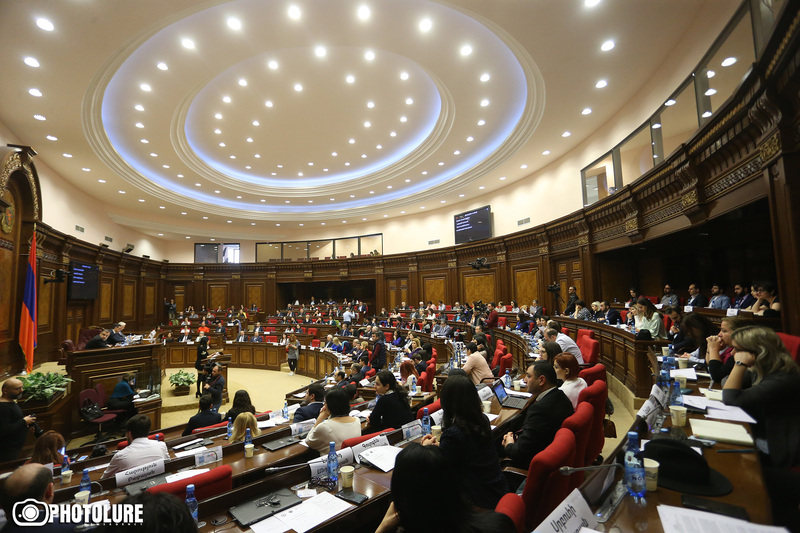 Lawyer Nina Karapetyants reminded about the case of Hrachay Gevorgyan, who died in the place of imprisonment, and claimed that state structures were not consistent in that matter. Arman Tatoyan proposed to meet and discuss that case. 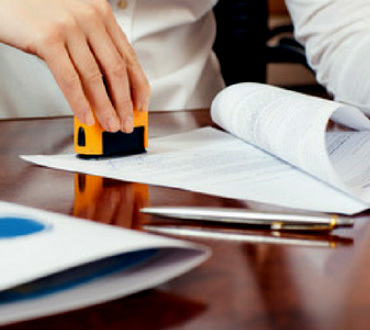 Representatives of the National Bureau of Expertises mentioned what conditions are placed in the basis of conclusions given by them and touched upon the problems and difficulties of that matter. The participants were of the opinion that trainings and courses of study are important in the introduction and implementation of Istanbul Protocol.